Problems — do we get what we look for? Maybe you’ve heard THIS story: a neighborhood watch lowers crime in an area. But once the burglaries stop, the watch doesn’t relax. Instead, people start calling in jaywalkers! It’s called “judgment creep.” We make relative judgements based on what we’ve ALREADY seen. So we keep finding problems — even after the original one is solved. But does this happen in other contexts? Meet Daniel Gilbert of Harvard University. In his study, he had participants search for blue dots among purple dots. They were also told there would be fewer blue dots as the test went on. But – surprise! People KEPT seeing blue dots! 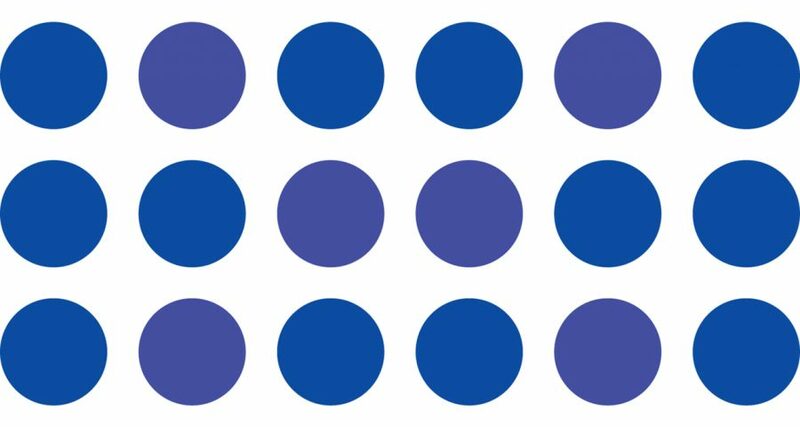 As blue became less common, dots that were previously considered purple started being called blue. This happened even after being told CASH would be awarded if they were correct! Researchers say this happens because relative judgements are a shortcut. Careful reassessments, is it purple or blue?, take more brain power. So be careful what you look for! You’ll probably find it.